The Dow tumbled 363 points on Tuesday. The 1.4% drop is the index's worst since May. And the two-day loss of 2% is the worst since September 2016. One major concern for Wall Street: The bond market has been selling off lately. That's raising fears that the era of extremely low bond rates -- which has been very good to the stock market -- could soon be over. Health care stocks dragged the market lower on Tuesday after Jeff Bezos, Warren Buffett and Jamie Dimon unveiled a plan to get into the health insurance business. UnitedHealth (UNH), CVS (CVS) and Walgreens (WBA) shed between 4% and 5% apiece. "We are long, long overdue for a serious correction," said David Kotok, co-founder of Cumberland Advisors. "Will this be the one that takes the market down 5% or 10% and scares the hell out of everyone? Kotok suggested such a selloff could be good for the market in the long run because it would "create a new psychological base" from which to build on. 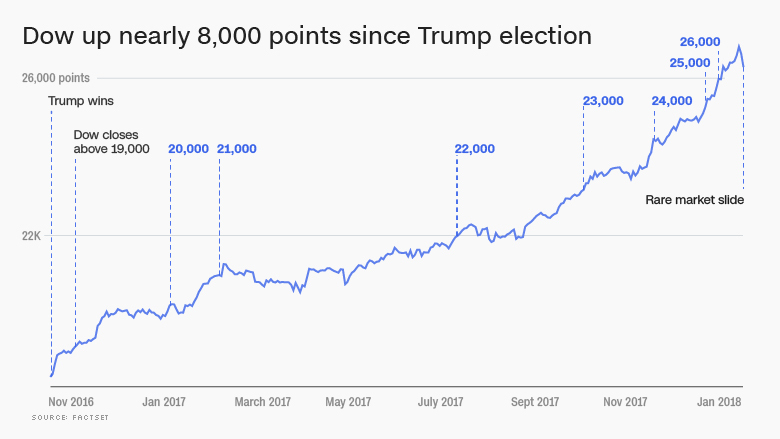 The Dow is up nearly 8,000 points since President Trump's election. A growing global economy, strong corporate earnings and a surge of consumer confidence have sent stocks soaring. CEOs and investors are feeling very optimistic thanks to Congress' tax cuts and Trump's deregulation agenda. Despite this week's slide, the Dow is still up more than 5% in January. That would be its best month since March 2016. "It's been an amazing start to the year," said Kate Moore, BlackRock's chief equity strategist. "A pause for a breath feels prudent." The VIX (VIX), Wall Street's fear gauge, has soared about 35% this week to the highest level since August. Crossing the 3% level "may, or may not, send global risk sentiment into a funk," according to Societe Generale fixed income strategist Kit Juckes. He noted that's what happened in 2013 when stocks and bonds tanked during the infamous "taper tantrum." "My gut sense is that the world won't end just because we reach some magic level in the bond market," Juckes wrote in a report on Tuesday. Yet Wall Street is watching very closely because historically low rates have forced investors for years to seek out returns in risky stocks. Higher rates could lead investors to conclude that stocks aren't worth gambling on, especially at these levels. 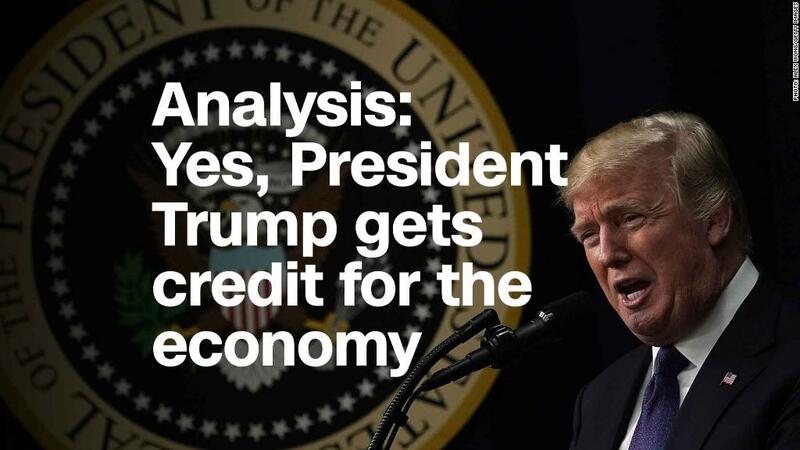 "We have become an asset price dependent economy and one addicted to artificially low rates," Bleakley Advisory Group's Peter Boockvar wrote in a note Tuesday.